Why Should I Purchase Amazon Kindle? 5 Questions to Ask Before Buying! 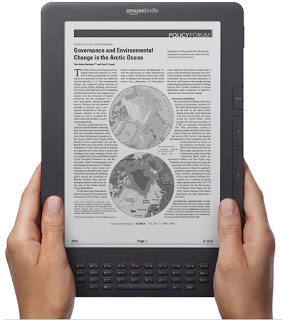 Amazon Kindle is the popular eBook Reader device. Before buying it check its features and ask the following top questions to yourself to have the best reading experience. Question #1: What do you read? If you are a book lover and reads every bestselling book then its best option to choose this eBook reader to cut down your cost. You may think that eBooks cost less than the hard copy but this is not true in all cases. For example; one of the popular book biography of Steve Jobs cost more for eBook i.e. $17 compared to its written copy which cost $14. You can read various books for free of cost and can also download your favorite copy at cheaper rates. You can read all the classic records, historical volumes, fiction copies, business editions for free. Buying this device is the only option to save your money if you read lots of books. Question #2: Which device you choose to read eBook? If you want to use the Kindle applications on your PC, tablet, smartphone know which platform it supports. For example, if you want to read the books on your PC there is an app called “Kindle for PC” which supports windows 8, 7, vista and XP. If you want to use it in your smartphones like iPhone, blackberry enables the Android application and start reading your favorite edition on your smartphone. If you are using the chrome and safari browser HTML5 app serves your purpose. Recently, Amazon released the applications which can also run in Linux operating system. Question #3: Which file formats it supports? It supports Amazon book formats like AZW, KF8. You can also read the files in Basic formats like TXT, PDF. But note that it will not support the EPUB format like all other eBook readers. You can convert the files if they are in HTML, DOC, DOCX, JPEG, GIF, PNG, and BMP formats. Now the latest fourth generation Kindle supports 3G, Wi-Fi connectivity. You can play the MP3 documents and file in AA, AAX setups. It can change the emails in GIF; PNG to AZW files. It is a multitasking device where you can share the single book at once in six devices. Question #4: Is it flexible to use? Flexibility of the device matters a lot. Look out for its compatibility. For example if you face trouble in reading the smaller prints you have the flexibility of changing the font size according to your convenience. Only some bookstores will have the group of big printed books. With the help of this Kindle you can select your favorite book from Amazon.com and can change it to the larger font. So you will have best reading experience with this device. Question #5: Why to buy a kindle? This has been rated as the most popular reader which outstanding customer reviews. It offers many benefits to the user compared to other devices like Sony, BeBook, and Bookeen. It provides quality E-ink facility which doesn't put pressure on your eyes.